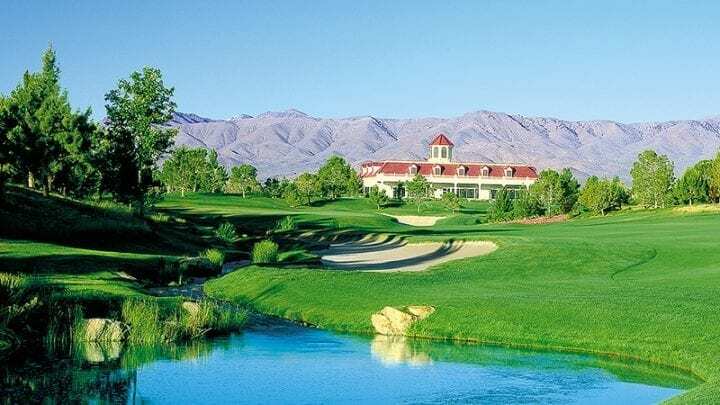 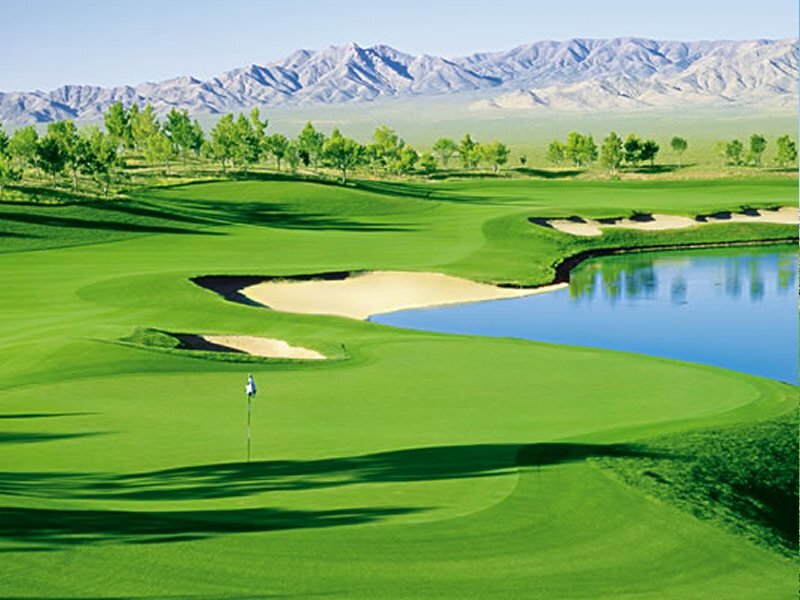 The Primm Valley Golf Club Lakes course opened in February of 1997, and was hastily ranked as one Golf Digest’s top new courses. 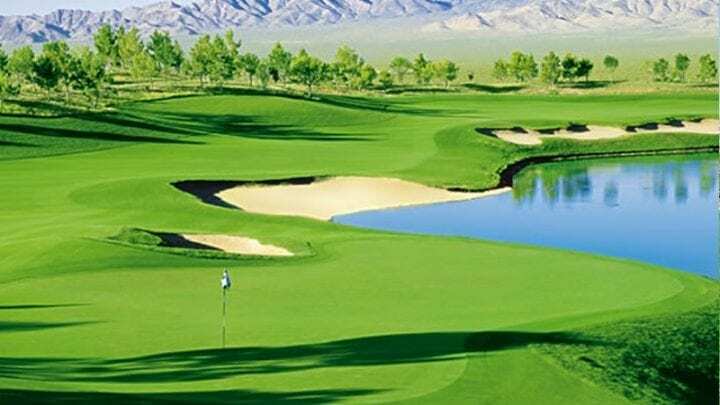 Inclusive of thick orchards with tall pine trees, widespread lakes and river systems, acre after acre of articulately manicured green Rye grass, that is interrupted by numerous bunkers makes you question if Primm Valley Lakes course is actually a mirage. 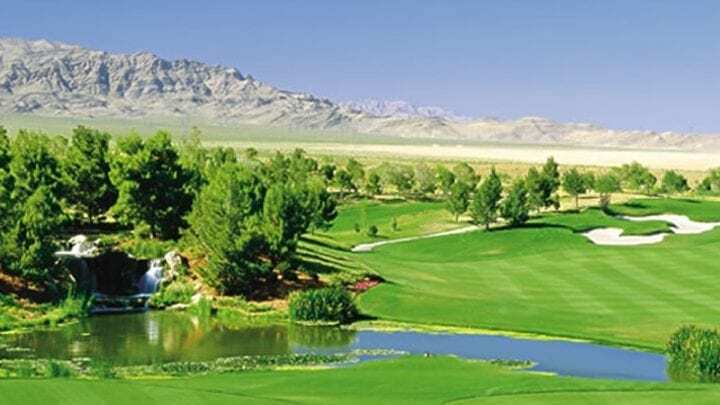 Well it isn’t. 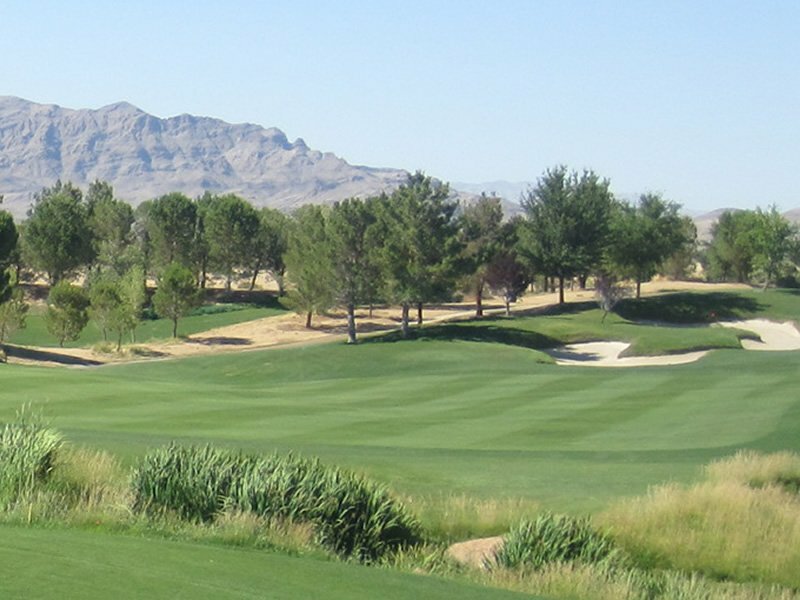 This 6,945 yard par 71 course is a challenge that tests even the most skilled golfers. 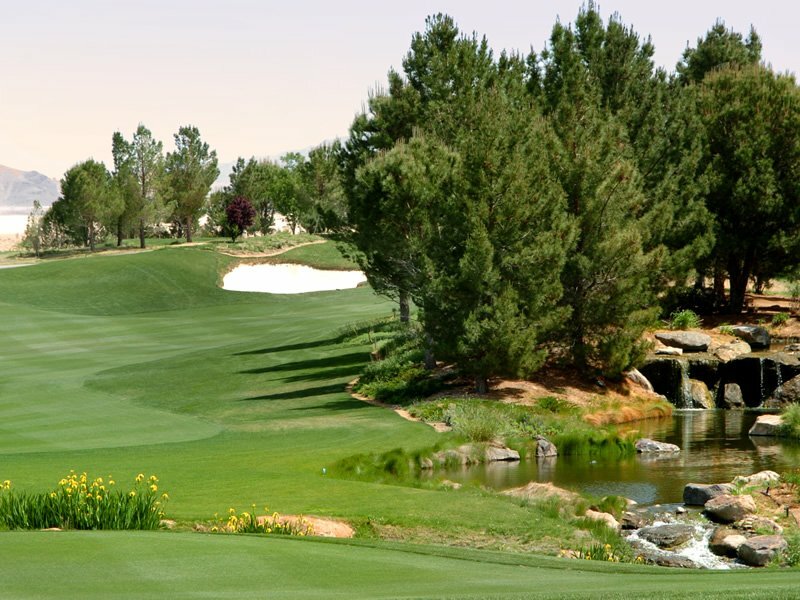 Generous fairways that slope towards the middle make the course very player friendly. 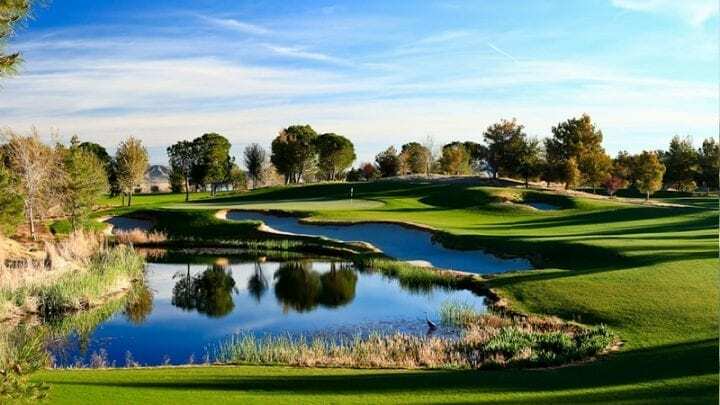 But don't be mistaken! 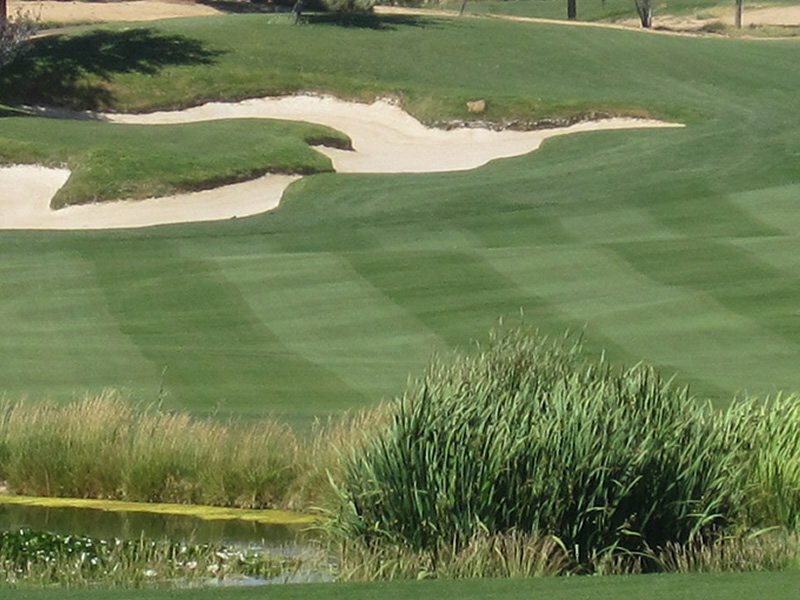 The undulating, well-bunkered greens and plenty of water hazards will make it difficult to come in with a low score. 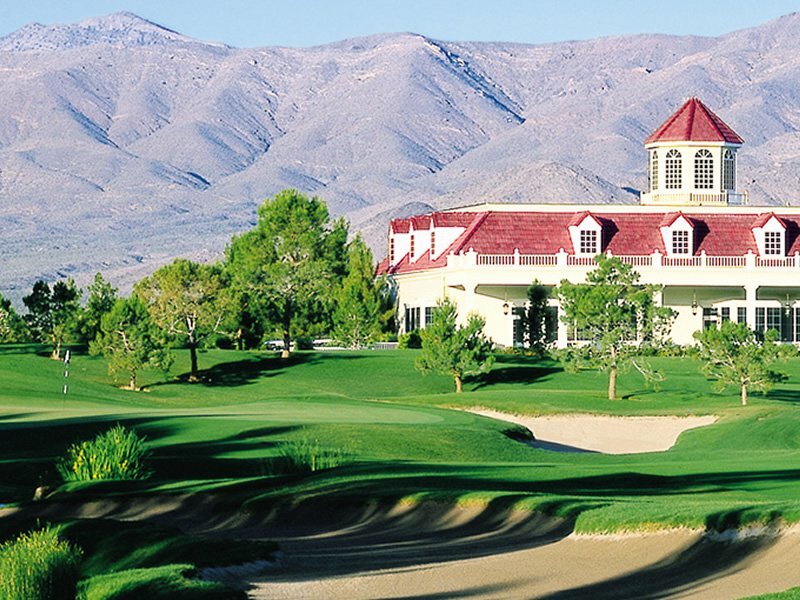 The Primm Valley Golf Club is perfect for the golfer that wants to get in 36 holes before the sun goes down. 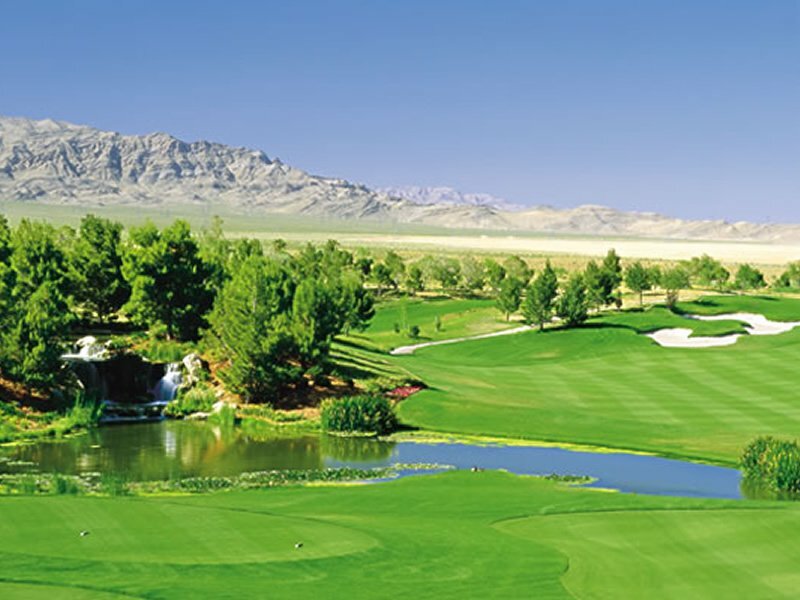 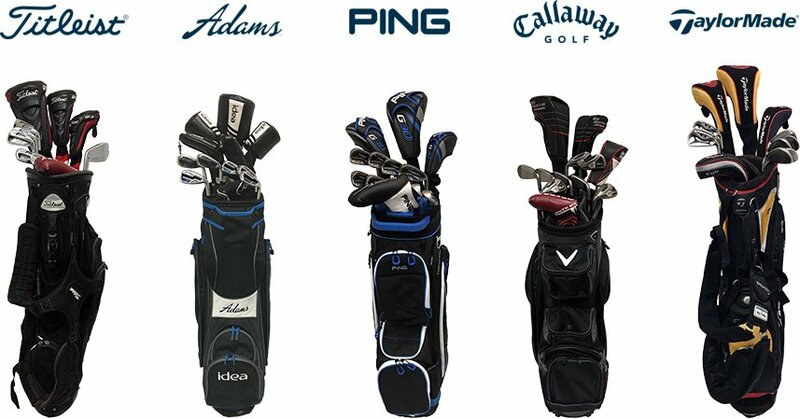 You can spend your entire day at Primm and get some of the best golf you might ever play. 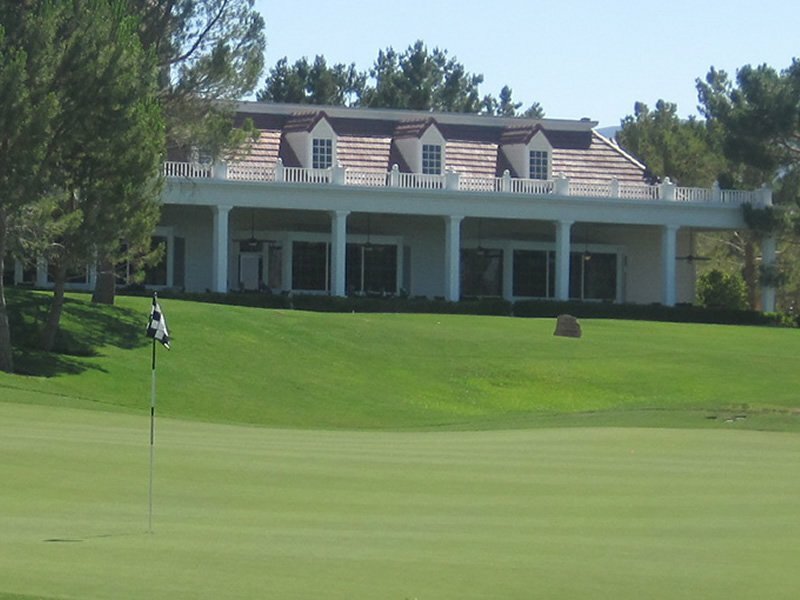 If you are making the drive, you might as well play both courses; you will be happy you did. 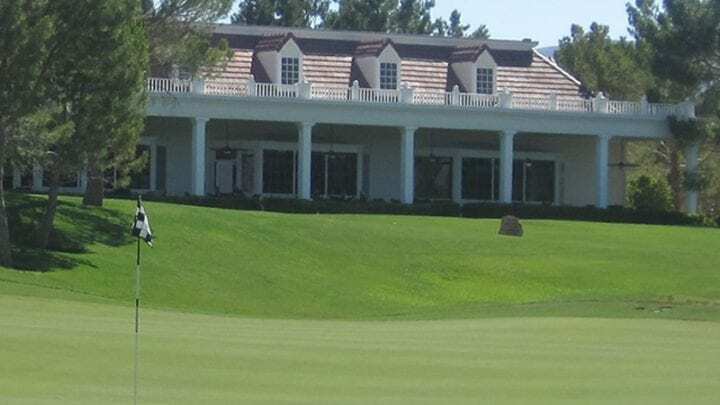 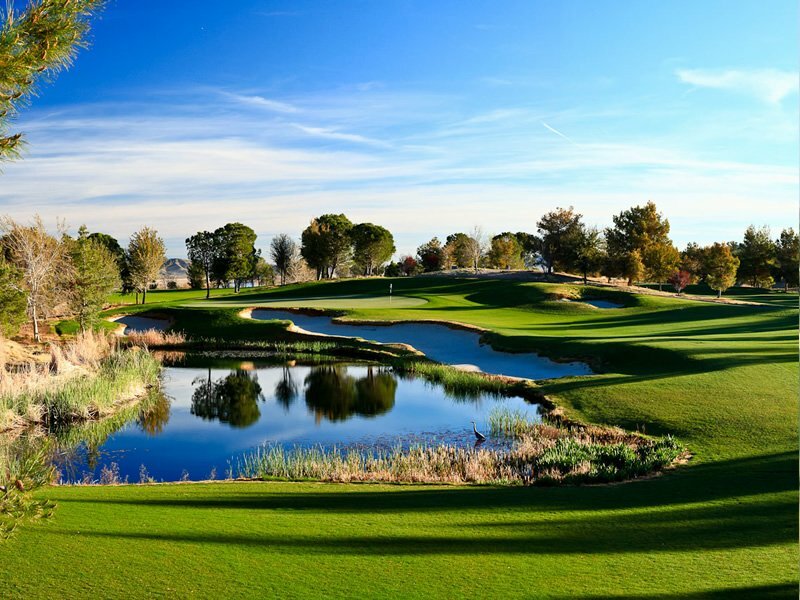 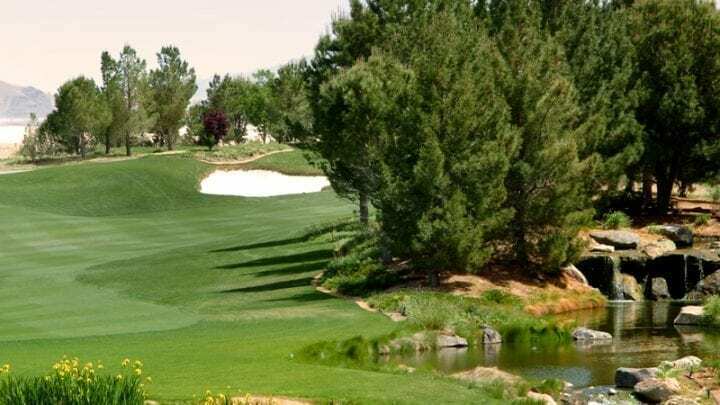 The course is located roughly 40 minutes from the Las Vegas Strip. 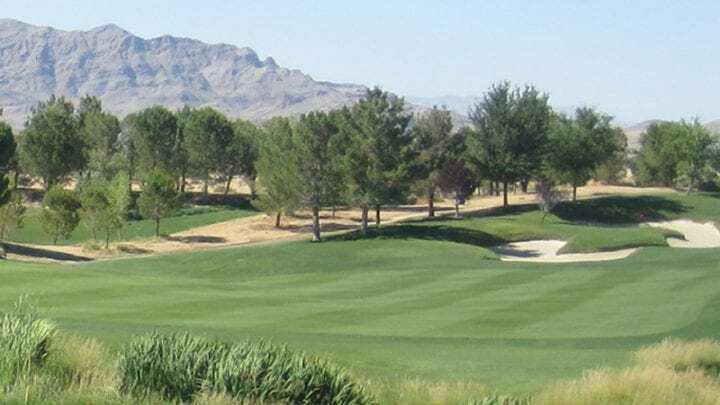 The course seeds Rye grass from the tee boxes through the fairways. 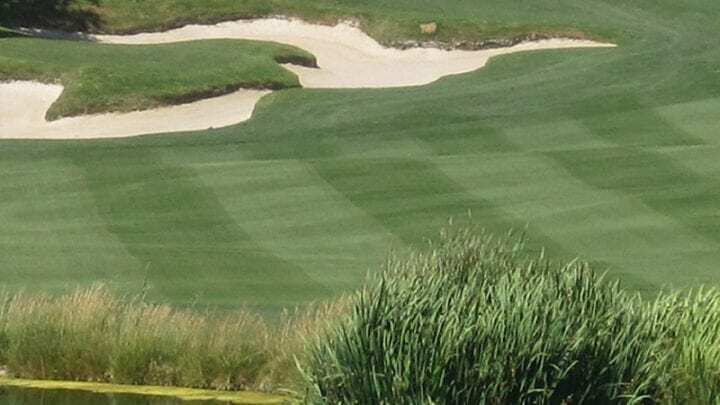 The greens are of course Bentgrass and come with severe to tricky undulations.